Wow, that sketch looks really “inspired”! 🙂 My daughter loves Tangled. She’s watched the DVD that we got her over and over, even though she’s also watched it over and over on Netflix. LOL! Tangled is one of my cartoon movie and i loved watching it. This cartoon of Runpunzell is beautifully admirable. 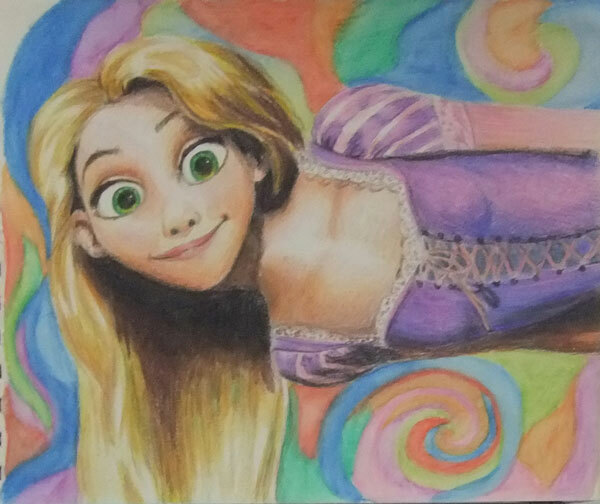 I haven’t seen Tangled, but that drawing made me smile. 🙂 You’re quite talented.